In order to understand the curing process, it’s essential to know why diseases occur. Attack of various germs on various parts of body. Due to decrease in immune power of body. Due to imbalance of tridosh (bile, mucous and air). Lack of healthy nutrients in the body for different reason. Lack of electric waves in body. In old age due to any of the above reasons. Lack of healthy ingredients in food. Working against the voice of soul (i.e. immoral sinful activities). Sins committed in previous births. Entrance of spirits in body. Poisons and toxins in body. HOW COW URINE WINS OVER DISEASES? Cow urine has amazing germicidal power to kill all varieties of germs. All diseases generated by germs are thus destroyed. Cow urine balances the tridosh (mucous, bile and air) thus diseases are cured. Cow urine corrects functioning of liver. So, liver makes healthy pure blood. It supplies power to the body to fight diseases. Cow urine has all elements, which compensate for deficiency of nutrients in our body, which are required for healthy life. Cow urine contains many minerals especially Copper etc. It compensates for mineral deficiency in our body. Presence of gold salts protects body against diseases. Mental tension hurts nervous and muscular system. Cow urine is called medhya and hradya, which means it, gives strength to brain and heart. Thus cow urine protects heart and brain from damages caused by mental tension & protects these organs from disorders and diseases. Excessive use of any medicine leaves some unwanted residue in our body. This residue causes diseases. Cow urine destroys the poisonous effects of residues and makes body disease free. Electric currents (rays) keep our body healthy. These currents (rays) are present in environment. These rays in form of extremely small currents enter our body through Copper in our body. We get Copper from cow urine. To attract these electric waves we need this quality of copper. Thus we become healthy. Cow urine is not only an elixir, but also stops ageing process and destroys diseases. The nutrients, which are less available in food, are compensated by nutrients present in cow urine and thus help to regain health. In scriptures some diseases are said to be due to actions performed in previous lives which we have to bear. Ganga resides in cow urine. Ganga is destroyer of sins, thus cow urine destroys such previous sins and so diseases are cured. The diseases caused by entrant of ghosts in body are cured by intake of cow urine. The Master of ghosts is Lord Shiva. Lord Shiva holds Ganga on his head. Ganga is in cow urine also. Thus by taking cow urine, the ghosts get to see Ganga over their master’s head. So they are calmed and become peaceful. So they do not trouble the body. Thus, diseases caused by entrance of ghosts are also destroyed. Cow urine being miraculous poison destroyer, destroys the disease caused by poison (Toxin). Extremely poisonous medicinal herbs are purified by cow urine. Cow urine provides immunity power by increasing resistance power against diseases in human body. It is not only non-poisonous but also destroys poison. It is anti toxin. Ans – yes I will write a full series in few months. dandavat pranam.thanks for nice article.what about jursey cows in west?how much effective their products are compare to indian cows?plz can u may b mention about them also briefly if its possible? Ans – Thanks for the comment and doubt. First of all I am not about west or east. Before reading ahead please read following link. Non Vedic cows even if present in India are as non vedic. They just don’t become Vedic because they are in India and vedic cows don’t become non vedic just because they are physically in US or Brazil or any other country. I can say for sure is products from cows or others who don’t fit above description will not be beneficial to humans and they are not pointed at in Vedas. I have personal experience of this as well. Sometimes for some time their products might seem beneficial. But sustained use will give us contrary results. I don’t want to compare between two as comparison should be between two similar things. I can’t mention about them as I don’t want to and have time to study how something is not good. I have got indicators in the direction which I can state that they won’t be beneficial in long run and in short as well. In fact I am too short of time to study all the glories of Vedic cows. 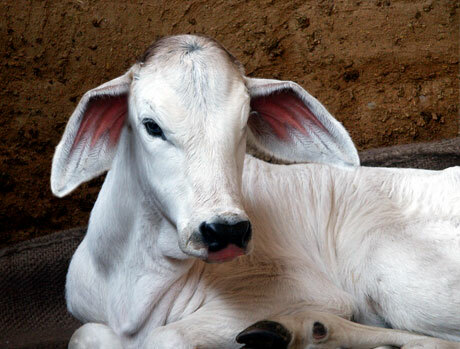 My study is focused on vedic cows with warning that avoid the non vedic once. I am using go mootra arka of gomataseva.org, it is really wonderful. Thank you prabhu for nice information. How to use gomutra arka prabhu ? At what time we should take it? How much water we should add? Is it true that adding little honey helps in reducing cholesterol? Between Arka and Ghanavati which is effective prabhu? Actually prabhu, i sell these products from gomataseva.org in ISKCON Bangalore, so devotees ask me all these things. My cousin’s severe kidney problem solved by taking this arka. Kindly answer if you so desire prabhu. Ans – Take 5 – 20 ml along with glass of normal water. Better we take early in morning but if we feel some burning sensation then we can take along with meals. We can take ark with honey as well. Ark will reduce cholesterol any way. I don’t know weather it is more effective in that respect along with honey. Among ark and ghanvati both are almost equally effective. Still we can prefer ghanvati. Ghanvati should not be taken by those who have kidney problems or have tendency for kidney stone formation. It can also be taken in morning or with meals as described above. Thank you for telling the case of your cousin. May be you can write detailed mail and I would like to put it up on blog. Thank you for the wonderful article. I am inspired to take the cow urine regularly. Can you please help me know what is the best way to consume cow urine? Just like you have explained about cow ghee, can you also please explain in details how to consume cow urine? There are many cow urine bottles available in market like distilled, diluted or concentrated. Which one should be used and how? Ans – Thanks for comment. Best is if we get supply of fresh cow urine. Filter it through 8 times folded cotton cloth. Drink 20 – 5o ml daily early in morning with or without water as you feel comfortable. If you cannot get fresh cow urine then go for ghanvati, ark, asava in successive order of preference. Best is to take early in mornning on empty stomach with some water. Ark should not be more than 20ml. Some people may experience some burning sensation in stomach on consumption and then they should take it along or after meals instead of empty stomach. If we feel some burning then we can decrease the qun or frequency in summer seasons. My 4 yr. son is suffering from Daabetes, presently he is on small Insulin dose. Varadraj Pr. suggested me about your website. I am giving him Ayurvedic Madhunashini vati also. Please suggest Pr. Ans – Thanks for writing. This is very complex case as there might be some problem from genes itself. Still based on pitta, kapha, vata logic diabetes is caused by pitta disorder. So you can take care to see that it doesn’t get more aggravated. In short time i.e. around 6 months I will write detail on my blog about this logic in simple way for layman to understand and then you can use it in your child’s case. Till that time you can apply your logic and understanding on what you have read in blog and give various cow products (blessings) esp cow urine tablets and ghee to you son. It is also required that he sweats as profusely as much. I am aware of importance of cow urine in curing various diseases.I have acidity problem from childhood. Whenever I drink cow urine my acidity increases sevearly. I tried taking cow urine ark (not fresh) with water, honey, in small percentage, in form of tablets(GHANVATI) but the problem still remains. One senior devotee known to me also faces similar problem with cow urine.So we stopped drinking it now.How cow urine can be taken by people having acidity problem? It is best to take fresh cow urine which is filtered through 8 times folded cotton cloth. If we don’t have access to fresh cow urine then we can have ark or ghanvati. We should take it always with some water. Room temperature water is better. If some one has acidity problem he should take little cow urine along with meals. In summer he should take mcuh less quantity. But he should seriously think to cure his acidity rather than blaming cow urine. Few simple but effective measures given. 1. No talking, watching video etc while eating. We should eat as if we are meditating completely focusing on process of eating. 2. Chew your food very very very thoroughly while eating. 3. When there is acidity problem i.e burning in stomach etc. never drink milk. Cold milk is worst. But drink lukewarm water. 4. Always after food drink little lukewarm water. 5. Never take fridge cold water, juices. 6. After you come in house from sun, never drink water immediately. Cold water absolutely never. Wait for 20-30 min and then take water. 7. Stop eating chillies red or green or of any other colour. 9. Eat as much avala as you can in any form. 10. Take one juice of any of following every morning before 11.00am. The juices are – Avala juice, Kokum juice, Orange, lemon, sugarcane juice, rose shake, hand churned buttermilk, coconut water etc. 11. Drink one or more glass of water around 6.00 -6.30 am after your bath etc. 12. eat Hand churned ghee fo vedic cow as mentioned in my blog regularly as the way I have told in blog. If mixed the Ganga water and dried cow dung is as good as cow urine for purification purpose ? What is the benefits. It is very difficult to store cow urine in large quantity ..
Ans – Thanks for discussion. I have not read your statement about mising of Ganga water and dried cow dung. I am not saying that what you are saying is wrong but uptil now I have not come across this information. So please state the source of information and then we can decide. Cash, gold and even grains are very difficult to store. But we do store them and store very carefully because we can’t live without it. So if we understand the importance of cow urine we will find out ways and means to do it. for eg in my small room I store 5 – 10 litres of cow urine to be used as floor cleaning agent during mopping on daily basis. It gives fresh fragrance to my room + keeps insects etc away. As I can’t live without it I have means to store it. So all can. how many days i can store without any preservative cow urine? after catch fresh urine how many days i can consume it? Ans – You can store life long. If the vessel is clean nothing will happen. In time the cow urine will smell strong. Generally for internal consumption fresh cow urine should be used. For external use it can be stored for life long. Take care to take clean vessels and keep lids closed. For internal use we recommend fresh. But under circumstances we can take at most for one week after collecting. but fresh is good. 2 -3 days old is also OK. One week maximum. CAn you tell me about how to drink fresh cow urine? I know a goshala and I can get a fresh urine but I have no idea or the recommendation about fresh cow urine. Ans – Filter cow urine through 8 times folded cotton cloth. Begin drinking 20 ml with or without water in early morning empty stomach or after meals. Slowly can increase the quantity till 50 ml if body accepts it without any symptoms. Ans – Filter it through 8 times folded cotton cloth. This is right process.